You are currently browsing the archives for the Elitists/Elitism category. 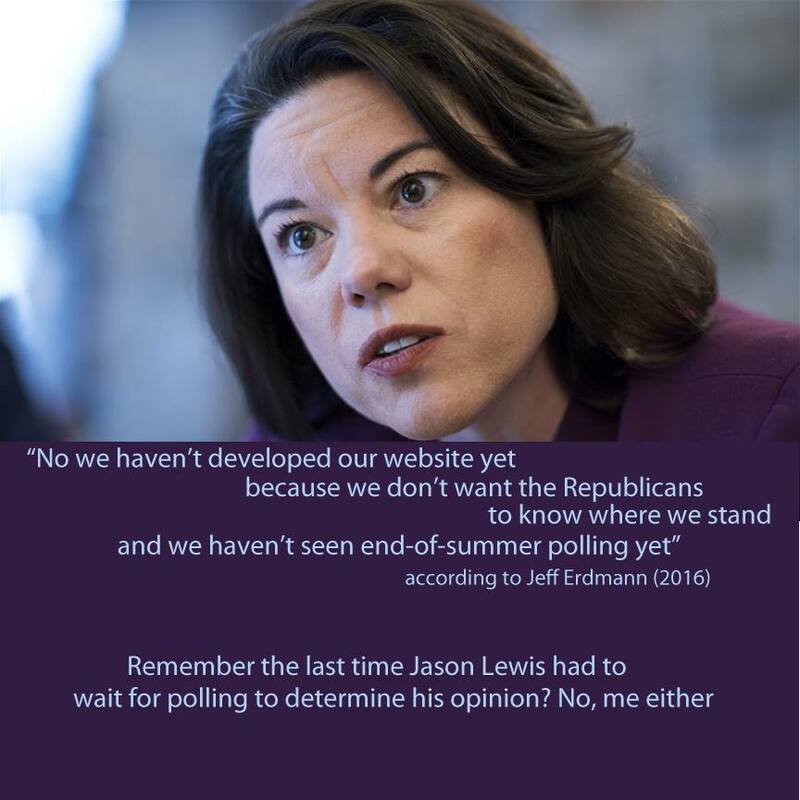 Remember the last time Jason Lewis had to wait to determine his opinion? No, me either. In the time of Trump, people want politicians that speak clearly and who provide solutions to important issues. Jason Lewis fits that description perfectly. After he’s re-elected, his authority will grow, which will benefit his constituents and the nation. After she’s defeated, Angie Craig will return to her cushy office. One of the things that people don’t get about the Trump phenomenon is why his followers are steadfastly loyal. The answer is simple. They’ve been complaining for years, decades sometimes, without getting the politicians’ attention. The thing that Trump’s done that’s built his unwavering support is that he’s listened. The citizens of St. Cloud have said that they’re worried about the expenses attached to the Refugee Act of 1980. The ostriches have declared that the city can handle the additional burdens or they’ve denied outright that the financial burdens exist. The citizens that signed this notice of petition steadfastly disagree with the ostriches, aka Jeff Goerger, Dave Masters, John Libert, Carol Lewis and Steve Laraway. At tonight’s city council meeting, Councilman Johnson will speak to this issue at tonight’s City Council meeting. Expect lots of eyerolls and looks of total disinterest on the ostriches’ faces. When they decide to ignore something, they set their heart, mind, soul and strength to it. That Goodin, 51, who has held political office for more than 17 years, felt the need to say this out loud speaks to the divisions bedeviling the Democratic Party. 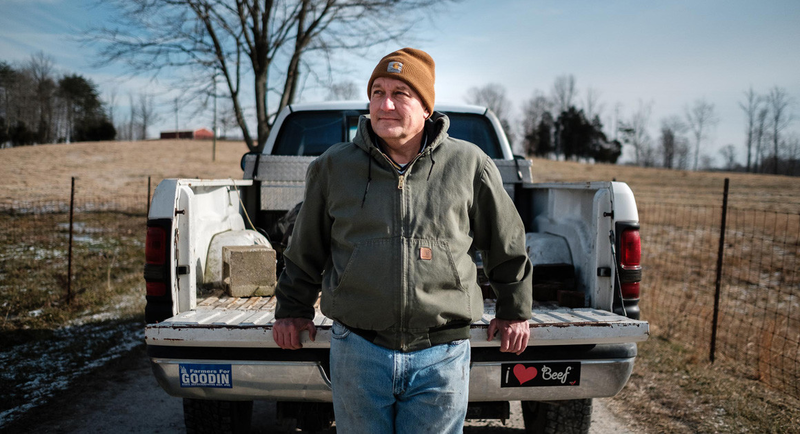 A father of three and the superintendent of a 500-student school district, Goodin is the last Democrat in Indiana who represents an entirely rural area. A member of the Indiana Farm Bureau, the National Rifle Association and the Austin Church of God, he’s an anti-abortion, pro-gun, self-described “Bible-poundin’, aisle-runnin'” Pentecostal. This unusual profile for a Democrat makes him a species nearing extinction within the national party, but it’s also the very reason he keeps getting reelected here. This paradox is why he is prominently featured in a report set to be made public Thursday by the leadership PAC of third-term congresswoman Cheri Bustos. In the old days before I could vote, Goodin would’ve been considered a conservative Democrat. These days, conservative Democrats are almost extinct. Most of them migrated during the 1980s to the Republican Party. There’s little question that Nancy Pelosi wouldn’t welcome heartland Democrats to DC. She’d definitely welcome them. Likewise, there’s no doubt that she’d ignore them once they got there. Ms. Pelosi wants Democrats of all stripes in DC because that’d increase the odds of her becoming Speaker again. There’s little question, though, whether their agenda items would see the light of day. I’m betting they wouldn’t. The facts are harsh. “The number of Democrats holding office across the nation is at its lowest point since the 1920s and the decline has been especially severe in rural America,” Bustos writes in the report. In 2009, the report notes, Democrats held 57 percent of the heartland’s seats in the U.S. House of Representatives. Now: 39 percent. In 2008, Barack Obama won seven of the eight heartland states. In 2012, he won six. In 2016? Trump won six. There are 737 counties in the Midwest—Trump won all but 63 of them. What’s needed for the Democratic Party is for them to dump the elitists/socialists/environmentalists in their party. The elitists are hated because they’re snobby. The socialists aren’t trusted on the economy. Environmentalists are viewed as hating blue collar workers. A political party that’s populated with snobbish people, that isn’t trusted on the economy and that hates blue collar workers has limited appeal. That’s where the Democratic Party is at in 2018. The Democrats’ battle cry on all things migration and immigration has been ‘that’s not who we are’. Democrats don’t tell taxpayers whether we can afford to accept more refugees. They simply tell us that it’s imperative that the U.S. accept tens of thousands of refugees each year. Did you know that welfare spending in Minnesota is going up about 20 percent or more a year? K-12 budgets are ballooning, as well. All we have is a promise that the Office of Legislative Auditor is going to tell lawmakers in 2018 what costs are currently tracked, so lawmakers can presumably order HHS and other state agencies to begin tracking the costs. Think about this a minute. 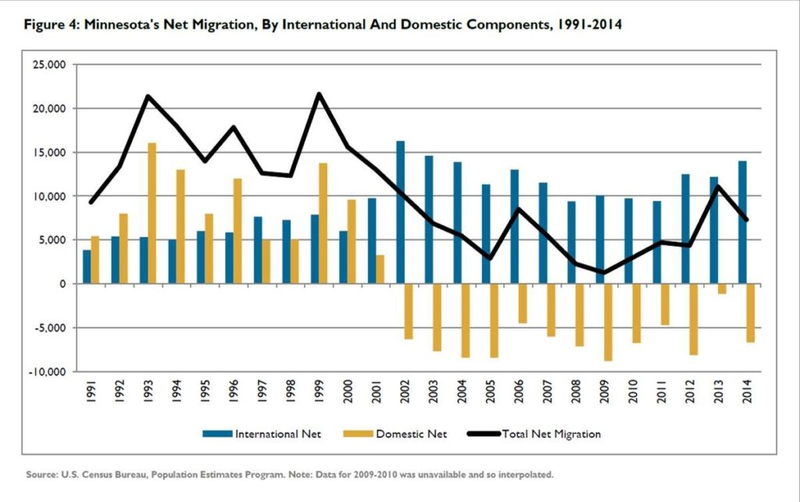 From 2002-2014, there’s been an outmigration of Minnesota-born people. While that’s been happening, there’s been a strong inmigration of people born in other countries, sometimes hitting 15,000 international-born refugees. Further, let’s remember that Minnesota’s welfare spending is increasing by 20% per year. What math-minded person thinks that’s sustainable? It’s one thing if a minor department’s budget increases by 10-15% per biennium for a couple biennia. That’s something that we can probably absorb without running a major deficit. The HHS budget is the second biggest line item in the state budget, behind only K-12 Education. Astronomical increases to the second-biggest department in Minnesota’s budget isn’t sustainable. This isn’t a partisan issue. It’s a bipartisan issue. Businesspeople from both parties love cheap labor. If they have to drive the middle class out of Minnesota while importing low-skill international workers that they pay a pittance, then that’s what they’re willing to do. That isn’t to say that all businesspeople think that way. They don’t. I’m just identifying the fact that there are some entrepreneurs who do think that way. Often, they’re found in the hospitality and meat-packing industries. 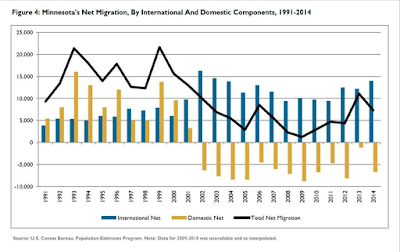 The point is simple: importing thousands of international refugees isn’t sustainable. Politicians that tell us otherwise are either lying or they’re too stupid to serve us properly. 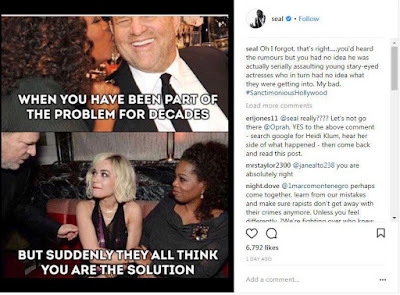 This year in Hollywood, selective outrage is all the rage. In other words, #MeToo was just a PR stunt. Why hasn’t Hollywood fiercely criticized Bill Clinton? For that matter, why hasn’t Hollywood criticized Hillary for attacking the women that her philandering husband assaulted? Since her speech, Oprah has been the object of lavish praise. That hasn’t changed the fact that she’s still living a fantasy life. What President Trump has proven is that, though he’s a multibillionaire, he’s still in touch with blue collar workers. Oprah hasn’t proven that by any stretch of the imagination. Thus far, Oprah has proven that she’s a phony who wants to show she empathizes with the little people. That’s a rather elitist attitude. Couple that elitist attitude with the fact that she sat still while a predator stalked Hollywood and you’ve got a person without character. 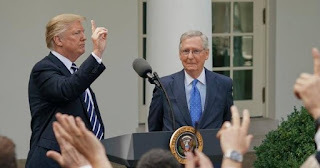 Jackie Kucinich and Andrew Desiderio insist that President Trump has picked another losing fight in their latest Daily Beast article. There’s little question that Democrats won’t let the RAISE Act get to a final vote. In that sense, President Trump has picked a losing fight. 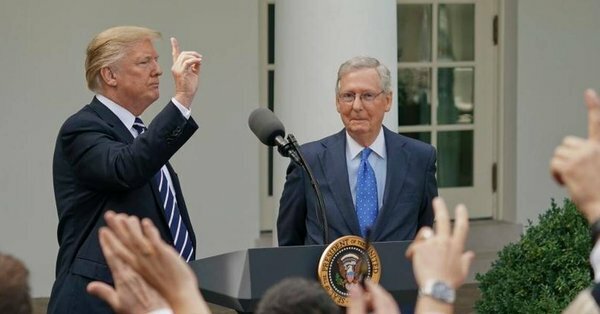 In the bigger sense, though, President Trump couldn’t pick a bigger winner for the Republican Party. To the left, Jim Acosta is a hero. In their minds, he stood up to the Trump administration and proved that Republicans were evil. Unfortunately for Democrats, they come across as not caring about blue collar voters in this fight. First, RAISE is an acronym that stands for “Reforming American Immigration for Strong Employment.” Blue collar voters understand the negative effects that illegal immigration has had on their (stagnant) wages. The bigger victory for Republicans is that Democrats will filibuster the RAISE Act, which will strengthen the impression with voters in Ohio, Pennsylvania and Michigan that Democrats don’t like blue collar voters. Finally, Republicans can use this fight between Acosta and Stephen Miller in ads next year. They’ll use these ads to re-inforce the Democrats’ elitist image. That’s where the bloodbath began. The assessment was made by four intelligence agencies – the Office of the Director of National Intelligence, the Central Intelligence Agency, the Federal Bureau of Investigation and the National Security Agency. The assessment was not approved by all 17 organizers in the American intelligence community. When will the MSM start digging into that scandal? Will they ever dig into that scandal? Apparently, it’s ok to do nothing while Russia is hacking into our election system but it isn’t ok to have people start rumors about the possibility of a Trump campaign worker making contact with a Russian. A decade ago, I created the term Agenda Media. It’s more true now than it’s ever been. Since President Trump was inaugurated, the MSM have acted like the Agenda Media. They aren’t reporters anymore. They’re partisans with press badges.